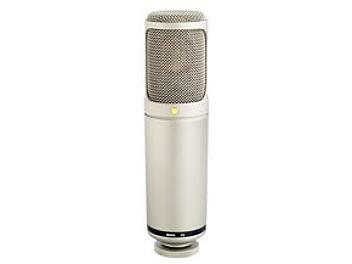 K2 Precision Variable Pattern Dual 1" Condenser Valve Microphone. I bought a Rode K2 new a few years ago. I had problems with it and Rode eventually replaced the capsule and tube in the mic. Even after this, the mic had quite a noise floor, which was only improved when I purchased a decent NOS tube from the states. Comparing the Rode K2 to another Rode mic that shares the HF-1 capsule, you will find they sound pretty much identical. Before the advent of the FET, a tube was needed to match the super high impedance of the diaphragm to the output stage. Tubes are a pain in this role, particularly as they often suffer from microphonics. Needing a big chunky PSU and proprietary cable to use this mic and dealing with the idiosyncrasies of a tube mic were just a pain to me. I sold the mic and replaced it with an AT4050 which is just a much better sounding mic. If you long for that "tube sound", you're better off with a tube based pre-amp. After all, how easy do you think it's going to be to drive the impedance converter into harmonics?